He is like a tree planted by streams of water. 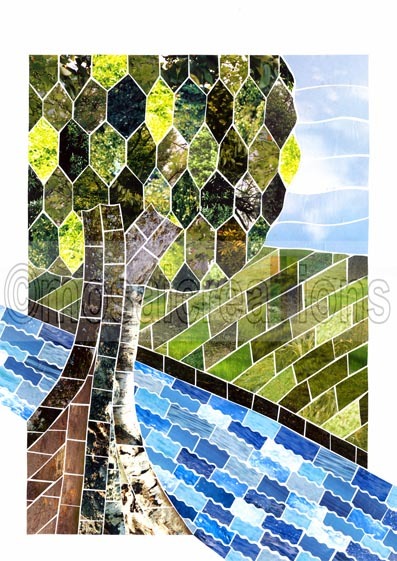 Although this piece was initially created with Psalm 1 in mind, there is a deliberate ambiguity in the piece as it can be seen to be representative of a number of different Biblical verses. This design was created with the intent of developing the techniques learned during the creation of 'Hands'. I chose Psalm 1 initially as I had just spent time translating the verse from the original Hebrew.